The proposals come barely 4 months after 53yr old Amaia Egana jumped from her fourth floor apartment to her death just before eviction. The subsequent wave of protest forcing spains banks to declare`evictions to be suspended for 2 years for the most vulnerable`. Since Spains' 2008 market crash an estimated 350,000 families have been evicted from their homes. Opposition critics say in the absence of a public housing stock evicted tenants and mortgage delinquents aleady face a lifetime of debt and destitution through a system of blacklisting that makes it virtually impossible for them to access the private rental market. 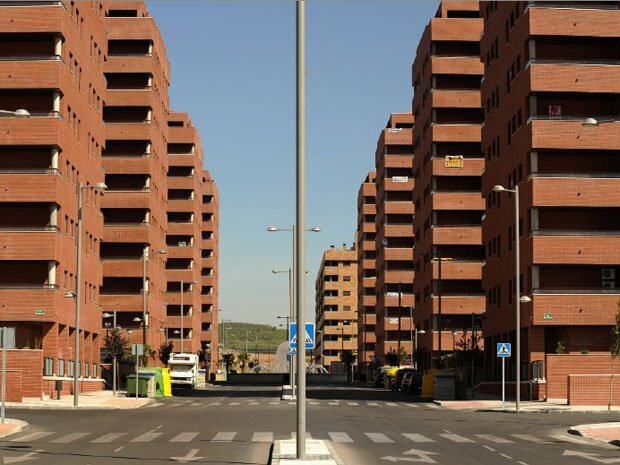 Spain currently has an estimated 2 million empty housing units. Squatting has become so common that some real estate companies are reluctant to put signs on the outsides of buildings indicating that an apartment is available. While most evictions still remain quiet affairs of embarrassed families leaving the keys at the bank, evicted people are increasingly taking over vacant properties or moving back into their old homes after they have been seized. In some working-class neighborhoods clashes between police & bank officials and housing advocates & volunteers resisting the evictions are reported to be weekly events.